For a school assignment, my daughter had to identify a family member who rose in social and economic class through means of employment and education opportunities. I immediately thought of her great-great-grandparents, Louis and Emma. Each had emigrated from Austria to New York, where they met, married, and had ten children, including her great-grandmother, Anna. I knew that the family had lived on the Lower East Side of Manhattan, and that Louis had been a tailor in a factory. But I did not really know much beyond that except that at some point the family had moved out of the tenements, and some of the Anna’s siblings had professional occupations. I suggested that we examine census records to find out more. We first examined the U.S. Federal Census for 1900, the year of Anna’s birth. The family was renting their home on East 10th Street in Manhattan; Louis was a tailor. He and Emma were literate, and both spoke English. 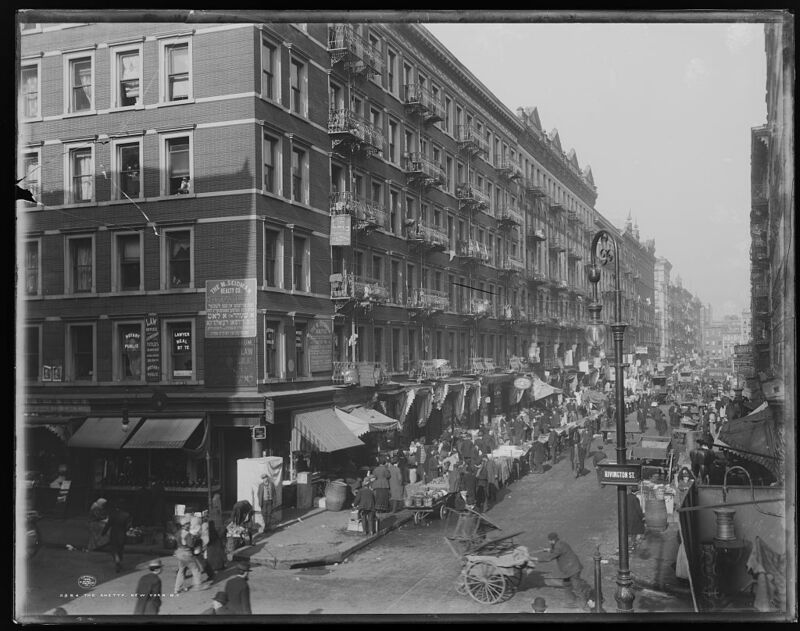 By the time of the 1910 census, the family had moved to East 7th Street , to another rental apartment. Louis was a ladies’ tailor, working in a tailor shop. He and Emma had six children, all attending school. By 1920, the family was residing in Woodhaven, Queens. Now they owned their own home and were carrying a mortgage. Louis was a tailor in a factory. There were now ten children, all of them living at home. Some were adults and already working: Benjamin as a civil engineer; Rose as a bookkeeper in an export business; Max as a clerk in a mail-order business; and Anna as a stenographer, also in an export business. The remaining children, except for Jesse, all attended school. According to the 1930 census, the family had moved to a new address in Queens and was living in a home they owned. Louis was now a proprietor of his own tailor shop. The youngest four children were living at home and attending school. We traced a few of Anna’s brothers in the 1940 census and discovered that Theodore was a dentist, Isadore (now George) was an automobile dealer, and Solomon was a credit manager. Some of the children had gone to college, including Dorothy; some had only completed high school. Whereas Anna had moved to a suburb, most of her siblings were still living in Queens. With all this information in hand, my daughter drew some conclusions: Louis and Emma were able to speak English; the children lived at home well into their twenties and very likely contributed to the household income; and the children all went to school, most finishing high school, with a few attending college and professional school. Additionally, she noted that Louis and Emma eventually owned their own home. 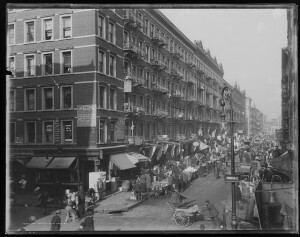 Although more information from many other sources will help fill out this family’s story, the census records gave my daughter an immediate insight into her ancestors’ rise in social and economic class, from the tenements of the Lower East Side of Manhattan to the suburbs of New York City — not an atypical immigrant story. 1900 U.S. Census, Manhattan, New York County, N.Y., roll 1097, ED 341, p. 24A, accessed at Ancestry.com. 1910 U.S. Census, Ward 11, Manhattan, New York County, N.Y., roll 1012, ED 255, p. 11A, accessed at Ancestry.com. 1920 U.S. Census, Assembly District 6, Queens, Queens County, N.Y., roll 1237, ED 440, p. 23B-24A, accessed at Ancestry.com. 1930 U.S. Census, Queens, Queens County, N.Y., roll 1608, ED 520, p. 12B, accessed at Ancestry.com. 1940 U.S. Census, accessed at Ancestry.com.